HOW MANY SHIPPING KITS WOULD YOU LIKE? Shipping kits are for book orders only. *Multiple books for the same artist? (i.e., John's 1st Grade Art, John's 2nd Grade Art) Enter the same name in two boxes to place both deposits. One book including multiple artists? You can either enter "John & Sally Smith" or "The Smith Children". Place your deposit below, and our pre-paid shipping kit will arrive in 3-8 business days. 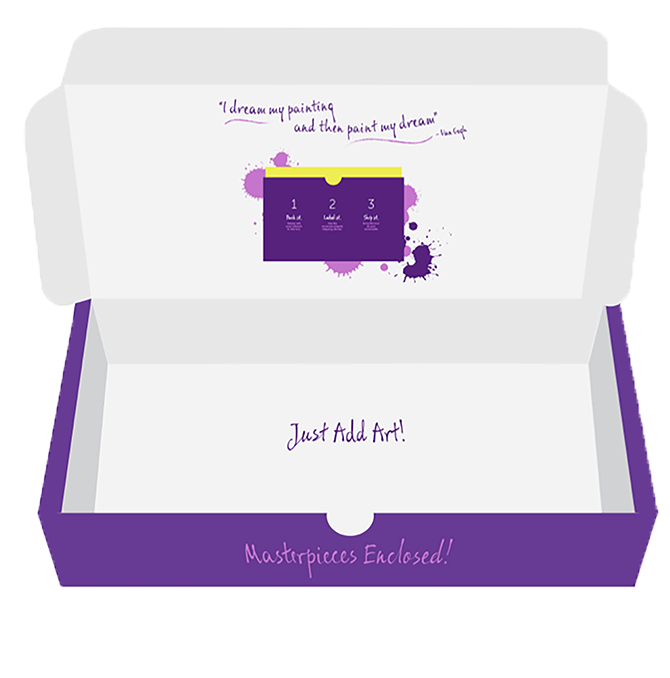 Simply add your artwork, select your desired book type, and send the kit back using the provided pre-paid shipping sticker. 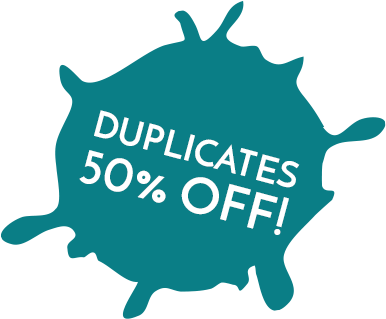 After we've received your kit, we'll email you an invoice based on the number of pieces of artwork submitted (with your deposit deducted). See the pricing page for full details. 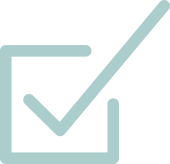 In 1-2 weeks, you'll receive a digital proof via email to approve. Voila! Your beautiful work comes back in a book. 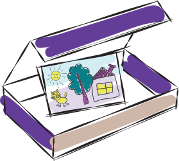 If you've asked for your artwork to be returned, it will arrive separately from your Plum Print book. HOW MUCH WILL MY FINAL BOOK COST? Enter the number of pieces of artwork you have to determine the exact cost. Can I ship outside the continental US? Absolutely! While we do not ship Plum Parcels outside of the continental US, you can download our Art Submission Form and mail your artwork directly to us. There will be an additional shipping fee (dependent on location) but the rest of the Plum Print process will work just the same. If you choose to have your original artwork returned, that shipping fee will be calculated when your artwork arrives in our studio and you will be notified via email. Click here for more information and to download your Art Submission Form. 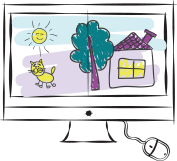 Can I put multiple kids artwork into one box? Sure, but we highly recommend ordering a separate book for each child. These books will be special keepsakes for your children that they will treasure—and eventually share with their own children. 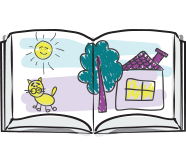 However, if you would like a special book made (perhaps for a grandparent) that includes the work of multiple children that is certainly possible. 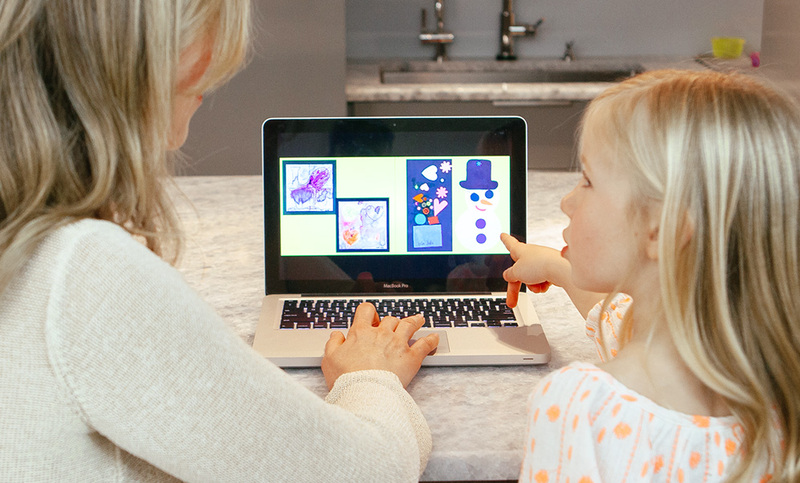 Use our caption service to credit each piece to a specific child. Captions have a minimal extra fee associated with them listed on our pricing page. Do you curate the artwork I send? No, we do not curate the artwork that arrives in our studios. Everything that arrives in the Plum Print shipping kit will be digitized. How much will my book cost? Book pricing is based on the number of pieces of artwork you send us and the dimensions of your book. Please refer to the Book Pricing Calculator above to estimate your total cost. Remember, if you include a sheet of paper with art on the front and back it will be counted as 2 pieces, unless you indicate otherwise. In addition, each page of a booklet, with any writing or art on it, counts as one piece. Can I include stapled or bound books? Yes, you may include a book that your child made. 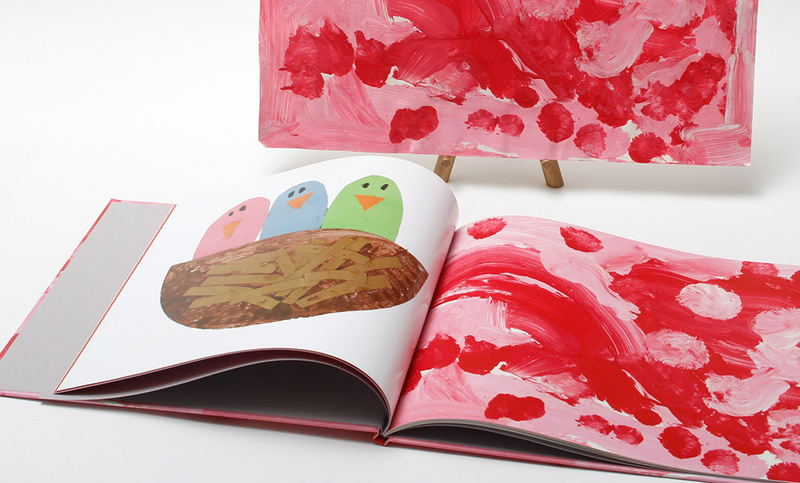 Each page counts as a individual piece of artwork, as they are digitized separately. The front and back of a page count as two pieces. Please note: any fastened book or grouping of artwork may be disassembled for digitizing. How big is the shipping kit? 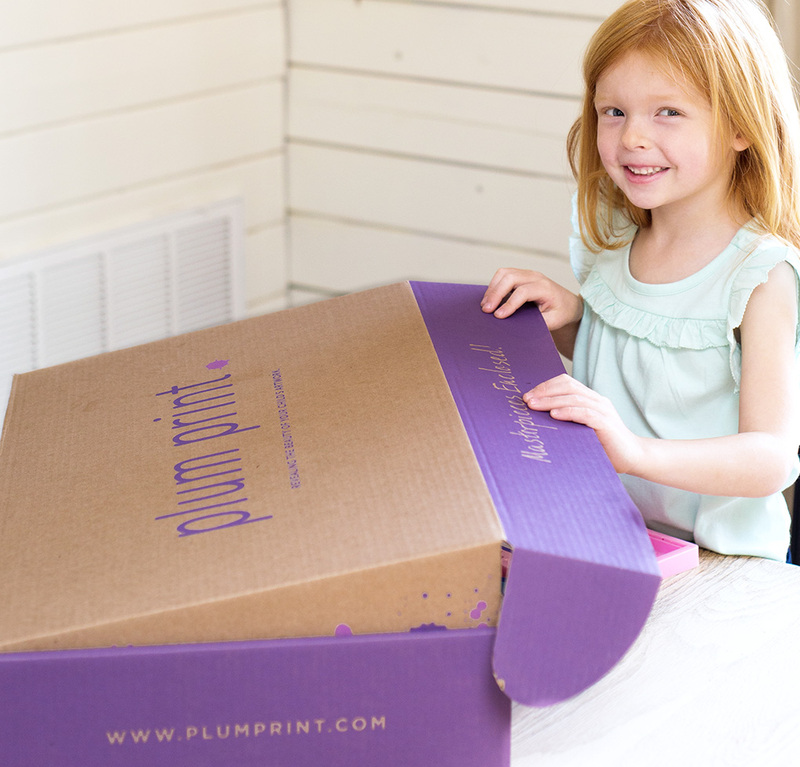 Our Plum Parcel Shipping Kit delivers all of your shipping needs to your doorstep. It comes with a large box (24” x 14” x 5”) for mailing a significant amount of artwork, a plastic resealable bag to protect your artwork, an Art Submission Form, and a prepaid FedEx label. All you need to do is fill it with art and drop the box at any FedEx location. $39.99 deposit for each. The remainder of your book cost will be invoiced after your artwork is digitized. Please order one kit per book. After your materials are photographed, you will receive an invoice with your deposit subtracted from the total cost of your book. We mail you the prepaid shipping kit. You simply add your treasures and send it back. Our shutterbugs treat every piece like a Monet and our designers work one‑on‑one with you to be sure your book is perfect. Your Plum Print book will last forever. Printed on 100lb lustre archival paper. Library bound with a matte cover. How many pieces of art do you expect to send? 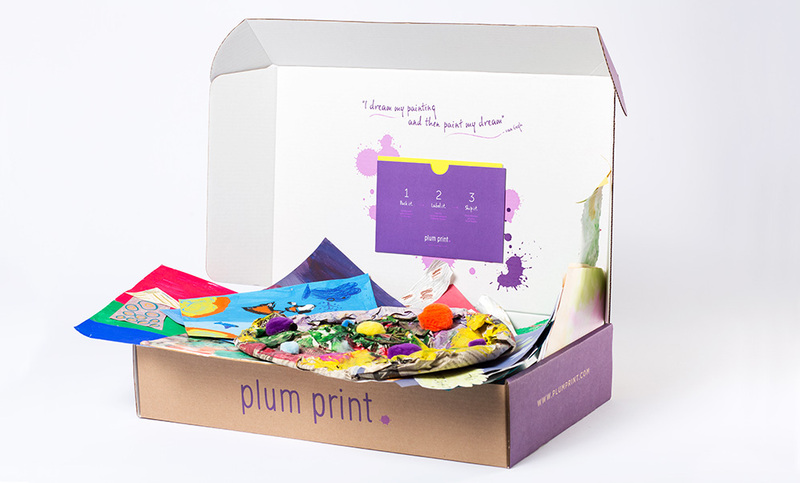 * Every piece you send to Plum Print will be included in your final payment. Removing pieces later will not reduce your cost. 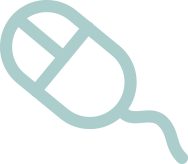 ** Digital Images Only: High-resolution digital files, not designed into book layout form. Bonus: Purchase a book and you’ll receive high-resolution digital files of all your images FREE!